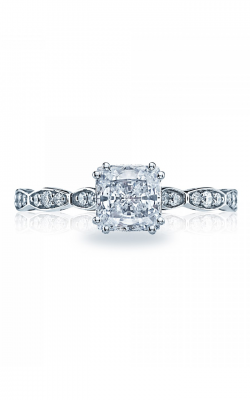 Cushion cut rings are growing in popularity with many of the latest celebrities choosing cushion cut engagement rings. The design combines a square cut with rounded corners like a pillow, hence the term “cushion cut”. These beautiful and unique cut rings are available at Rumanoff’s Fine Jewelry from a variety of high-end designers in rose gold, white gold, yellow gold, and platinum. Fana’s Designer and Classic collections feature a wide selection of styles that hold this beautiful diamond cut, from extraordinary halo rings to simple solitaires and sidestone pieces. Sylvie offers both the Halo and Sidestone collections. The Sidestone collection offers pieces with intricate lace detailing in the metalwork of the band. 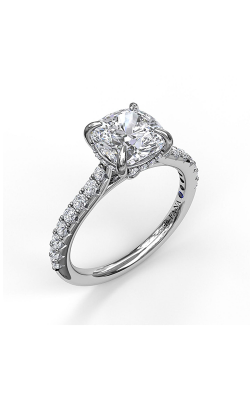 The Halo collection does an incredible job helping bring more brilliance to the center of the cushion cut stone. From the incredible designer Hearts on Fire the Deco Chic collection offers extravagant engagement rings with bands that adorn the ring in diamonds from its halo to the side of the band itself. As an authorized Tacori retailer, you will find brilliant cushion cut engagement rings from their RoyalT, Sculpted Crescent, and interweaving Ribbon collections and designs. Lastly, Verragio has a unique offering of mixed metal designs. The Insignia collection has customized scrollwork, French beading and bezels. The collection offers diamond and non-diamond wraps with French beading and lace work available in multiple metals: white gold, yellow gold, and rose gold. Rumanoff’s Fine Jewelry has been one of the most trusted in the business since 1938 and has carried on the fine jewelry business for four generations. With 80 years of experience under our belt, Rumanoff’s offers the best customer service and quality products in the fine jewelry business. We offer many different styles, but most notably known for our offerings and collections of cushion cut rings. 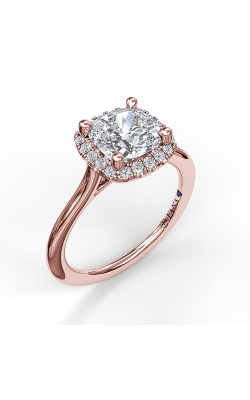 Rumanoff’s specializes in many different designer styles: engagement rings, wedding bands, timepieces, loose diamonds, and fashion jewelry. We offer 100% money back guarantee, lifetime diamond trade back, lifetime clean, polish and appraisal services, as well as complimentary ring sizing. For more information or to purchase a beautiful piece of your own you can visit our website at rumanoffs.com or give us a call at 203-230-1199. Feel free to stop by our location in Hamden, Connecticut 06518 at 4133 Whitney Ave. Pay us a visit and experience something brand new!